Many people have asked me about the security implications of synchronizing passwords from Active Directory to Azure Active Directory using the Azure AD Connect tool. Although there is an article on Technet that claims that the passwords are synced in a very secure hashed form that cannot be misused for authentication against the on-premise Active Directory, it lacks any detail about the exact information being sent to Microsoft’s servers. A post at the Active Directory Team Blog hints that the Password Sync agent retrieves pre-existing password hashes from AD and secures them by re-hashing them using SHA256 hash per RFC 2898 (aka PBKDF2) before uploading them to the cloud. This sheds some light on the functionality, but some important implementation details are still missing, including the number of SHA256 iterations, salt length and the type of hash that is extracted from AD. Some research on this topic has been done by Alan Byrne, but it is inconclusive. Therefore, I have decided to do my own research and to share my results. AD password synchronization is often implemented using password filters, but this is not the case. Instead, the MS-DRSR protocol is used to remotely retrieve password hashes from DCs. In other words, it basically does the same as the Get-ADReplAccount cmdlet I have recently created. The only sensitive information that the AD Connect pulls from AD is the unicodePwd attribute, which contains MD4 hash (aka NT hash) of the password. 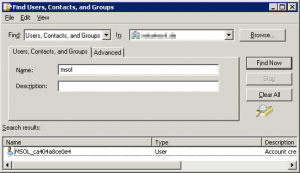 You should also know that the password synchronization service connects to AD using a special account whose default name starts with MSOL_. This account is automatically created during the installation process and is delegated the Replicating Directory Changes All right. It would be a bad idea to replicate its password to a RODC. 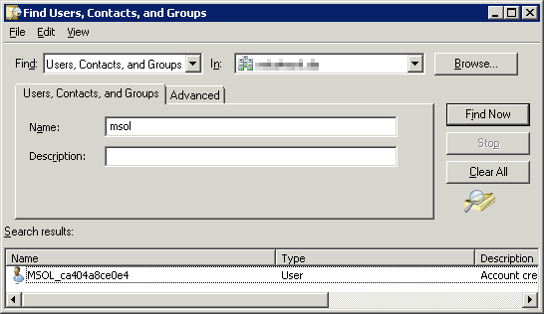 Furthermore, its cleartext password is also stored in the SQL Server database that the sync agent uses. It is therefore crucial to ensure that only Domain Admins have access to this DB. The binary form of the MD4 hash, which has 16B, is converted to a 32B uppercase hexadecimal string. This string is then converted back to binary form using the UTF-16 encoding, which extends the result into 64B. Ten random bytes are generated to be used as salt. The data generated in steps 2 and 3 is then used as input to the PBKDF2 (Password-based Key Derivation Function 2) function with 100 1000 (new since 2016) iterations of HMAC-SHA256. The output is 32B long. Note that the string contains the iteration count and version number equal to 1. This means that the protocol has been designed with a potential change in mind. I really praise Microsoft for using the standardized and proven PBKDF2 function instead of reinventing the wheel. The hash that gets sent to the cloud cannot be used in any pass-the-hash attack on Active Directory. The original NT hash cannot be calculated from OrgId hash in reasonable time. Thanks to using a random salt, PBKDF2 is immune to rainbow table attacks. The salt is 10B long, which is more than the recommended 8B minimum. While the RFC document from year 2000 contains a recommendation to use PBKDF2 with at least 1000 iterations, only 100 iterations of HMAC-SHA256 were performed by the sync agent back in 2015. Luckily, this has been changed sometime in 2016. The method of expanding the 16B NT hash into 64B by converting it to hexadecimal string and re-encoding it using UTF-16 is rather unorthodox. It took me some time to figure this out. Fortunately, it probably does not have any impact on security. Just hours after I released information about OrgId hashes, support for this algorithm has been added to oclHashcat, which is a popular password cracking tool that utilizes GPUs. Recent versions of Azure AD Connect started using 1000 iterations instead of just 100, as recommended by the RFC document. This is great news, because this change renders brute-force attacks and even mask or dictionary attacks against OrgId hashes unfeasible. Implement a reasonable password policy to prevent dictionary attacks being successful. Secure remote access to your network by using multi-factor authentication, so that the knowledge of someone’s password is not enough to get access to corporate resources. Never, ever, under no circumstances, sync passwords of administrative accounts (Domain Admins, Schema Admins, etc.) to ANY cloud service. And for those who are still in doubt, Microsoft offers an alternative, the so-called Federated Identity. The difference is that passwords are verified by the on-premises Active Directory, which means that the password hashes do not need to be synchronized to Azure AD. Great article, thanks for the time and effort to write it! One question, would you mind helping me understand how O365 manages to verify the password the user provides at login with the hashed password it got from AD? I think I understand how it gets past the hash used to protect the original hash in flight, but I am puzzled as to how it is able to compare with the inner hash to verify the password is correct. I am probably missing something silly here but if you could help put this one to bed I would be most appreciative. Hi Andy, well, Azure AD does the same calculation on every authentication attempt, where it knows both the cleartext password you entered and user-specific salt. It then compares the result with whatever arrived from the on-prem AD. Ahh, so it knows the salt (Indeed re-reading your article I see the salt included in the package that gets sent over), which gets it past the second or AADC hash, and it knows how AD created the original password hash so it can then compare to that? Yes, Andy, that’s it. The salt is always sent together with the OrgId hash. Otherwise, AAD would not be able to validate passwords. Remember, the salt is only used to prevent hash lookup tables from being used in password attacks; it basically forces attackers to brute force every password individually, preventing them from using previously calculated hashes. In my early programming days, Salt’s were often suggested, but their role was rarely ever explained along with their recommendation. This is why it’s safe to expose the password salt to the world, as it’s effect does not depend on it being kept a secret. Thanks for the great article. I just have one question: In the article, when talking about the MSOL_ account, you say “its cleartext password is also stored in the SQL Server database that the sync agent uses” Where in the database do you find this password ?